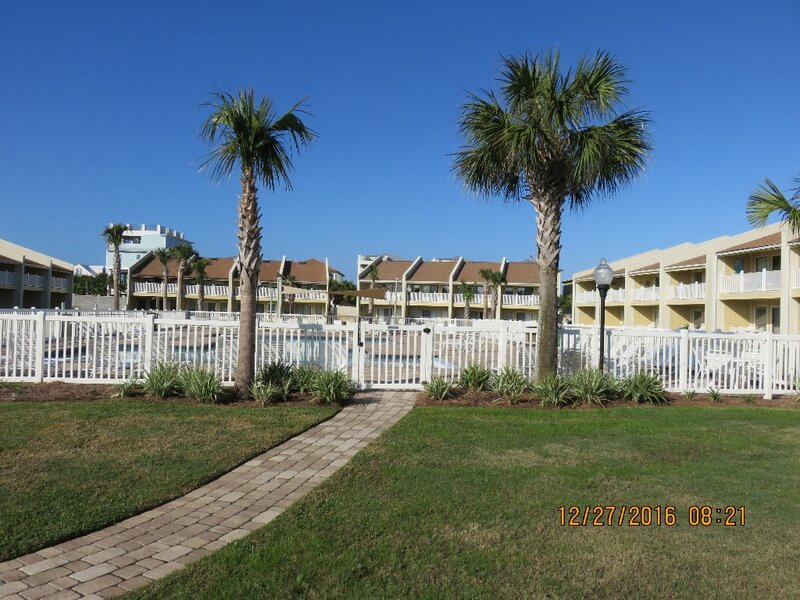 Come visit this CHARMING little piece of heaven that is located just steps away from our private section of beach!! 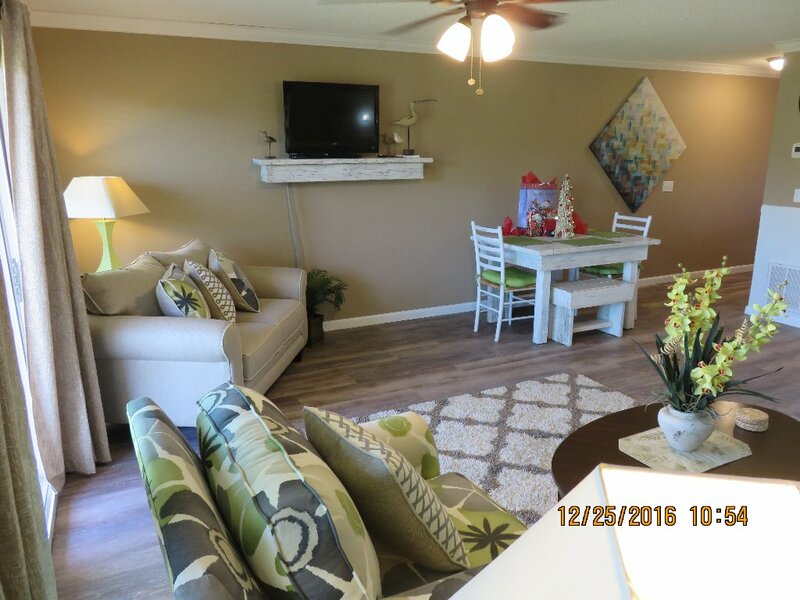 Fresh & new, just remodeled in December 2019!! 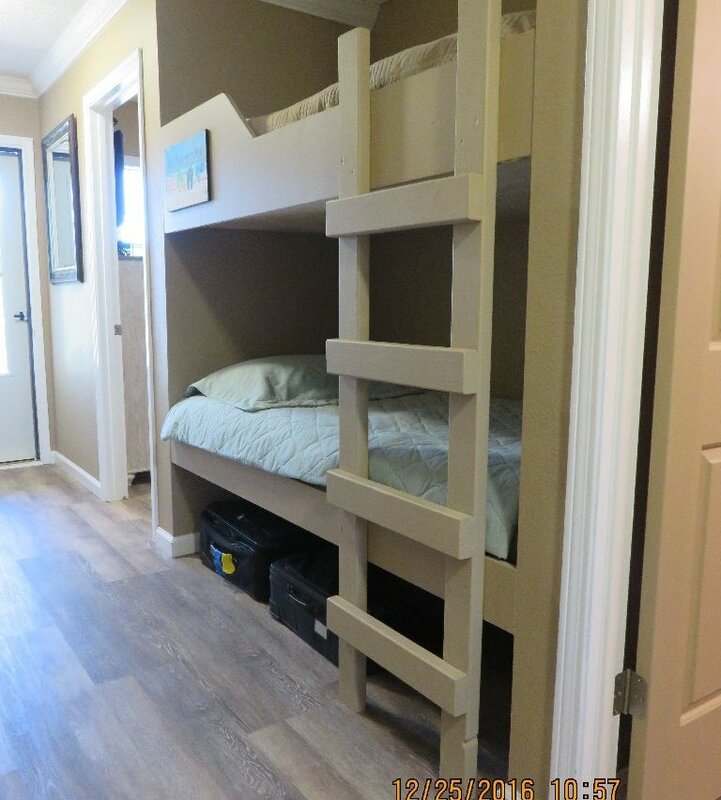 1 bedroom (king bed), 1full bath, 2 bunks (twin) & a sleeper sofa (queen) sleeps 6 very comfortably! This is a one of a kind fantastic condo and beautiful well maintained property. It is fit for families or couples in need of a vacation getaway. 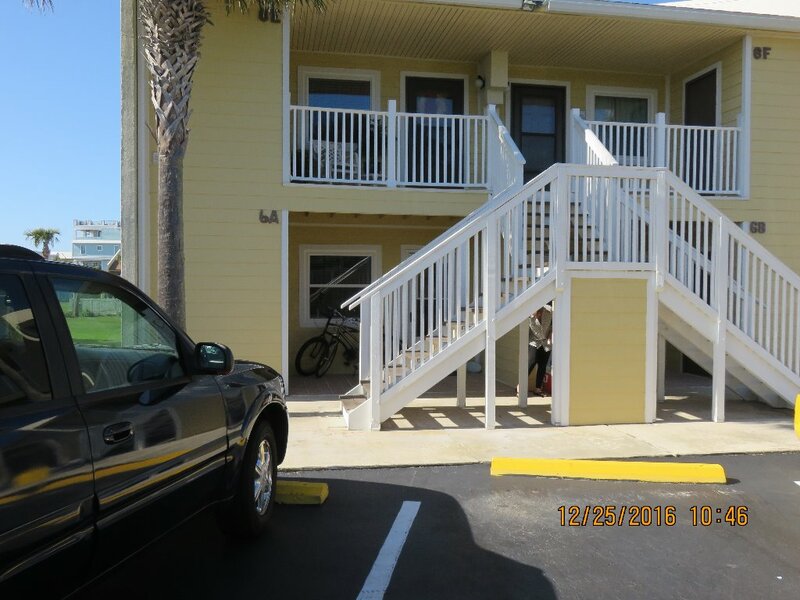 The condo is conveniently located on the 1st floor with an assigned parking spot just outside the front door. 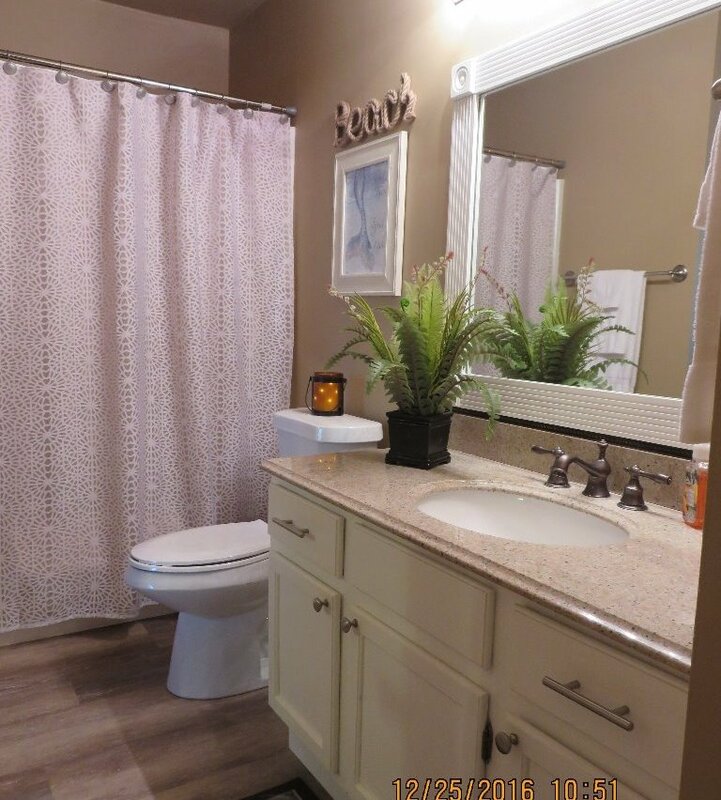 The property has a code gated entrance and exit for added peace of mind. 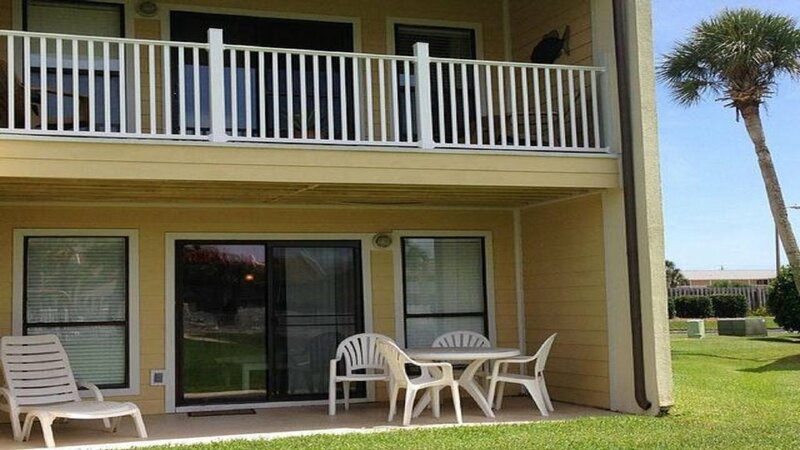 This unit offers 2 nice size patios, 1 front patio and a rear patio. The rear patio over looks the plush green lawn and a lovely new heated pool (seasonal). 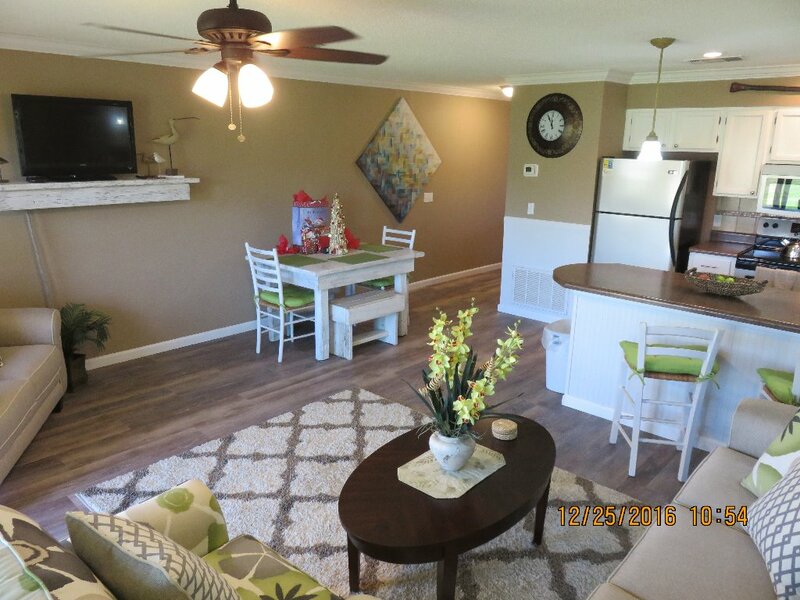 The condo displays a beautiful, bright, beachy and comfortable feel with plenty of sunlight. 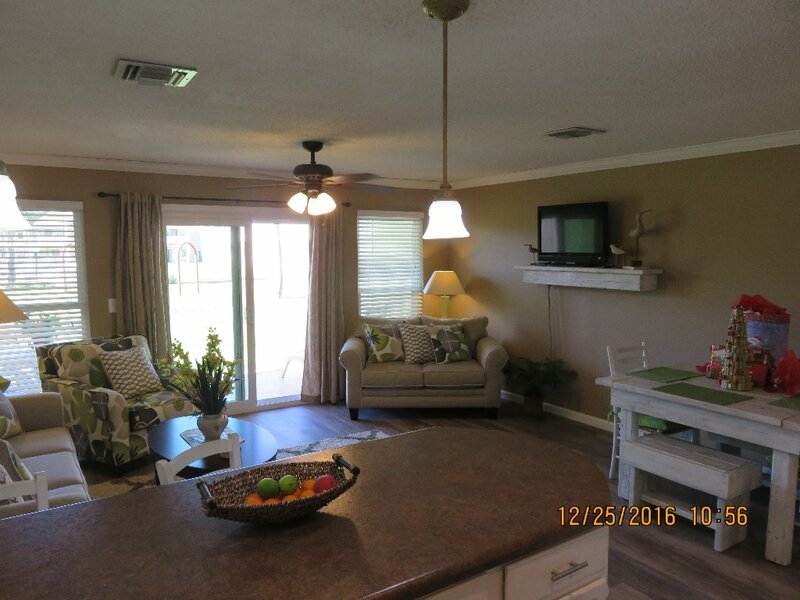 Private full size washer and dryer located in a large closet off the front patio with plenty of space to store your beach supplies. 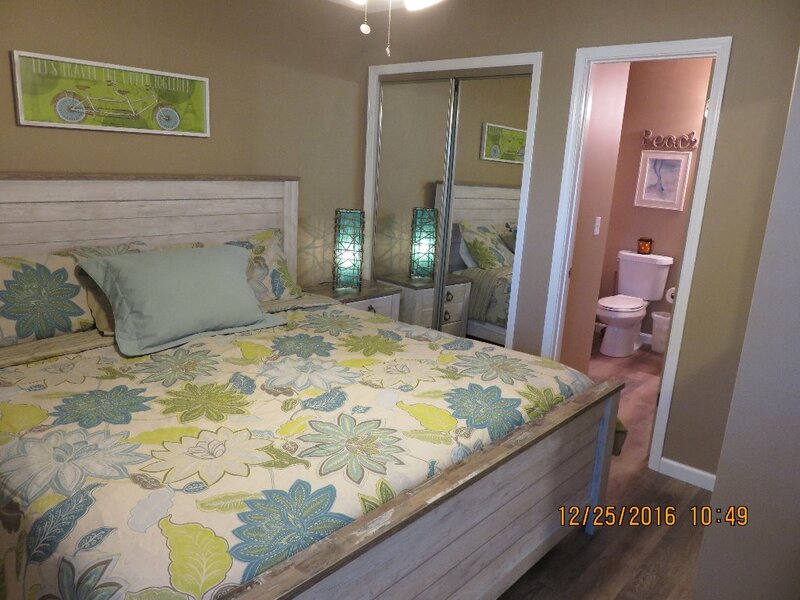 The master bedroom and living-room offer cable TV. We also offer FREE Wi-Fi. 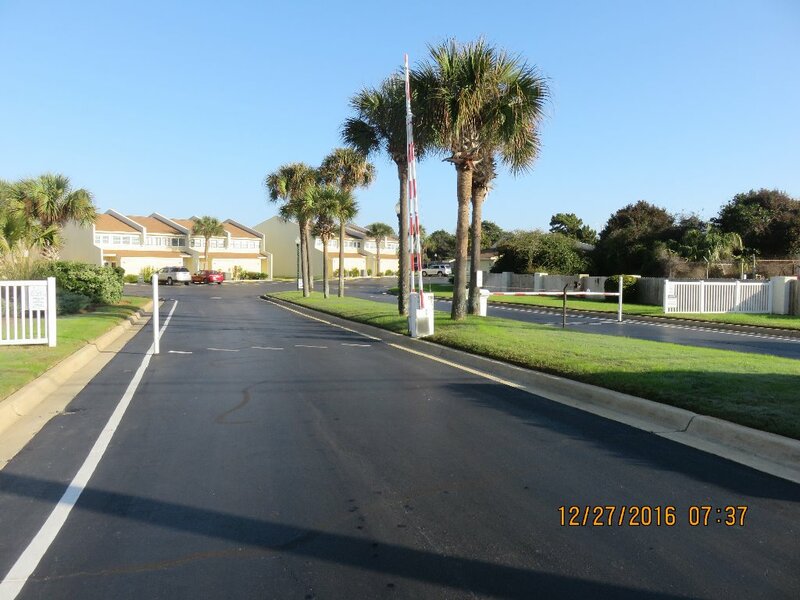 The condo has private deeded beach access for Seacove guests only. 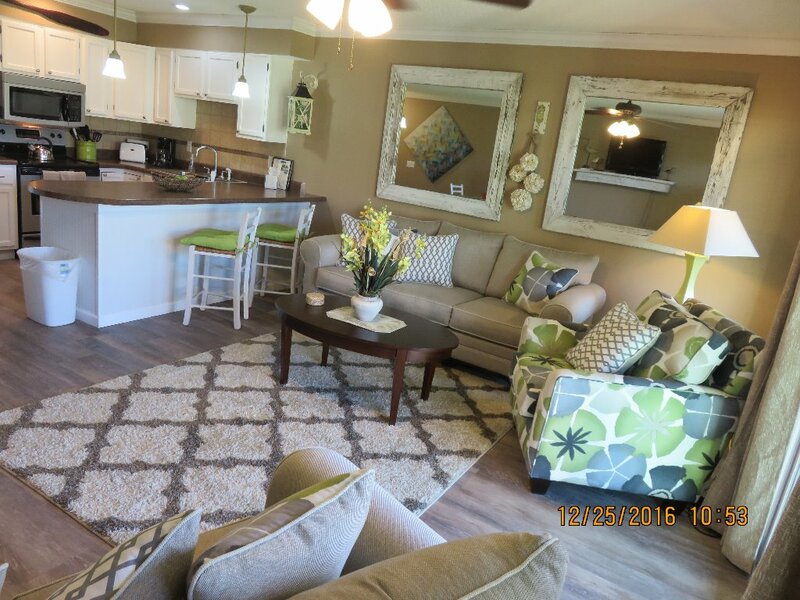 It is literally ONLY a 1-2 minute walk from the front door to the famous white sandy beaches of the emerald coast. The condo is fully loaded, as your comfort and enjoyment is our main priority. The gated property has beautiful palm trees, landscaping and a well maintained plush green space for activities. A swing set is located just off the back patio for the kids to enjoy. 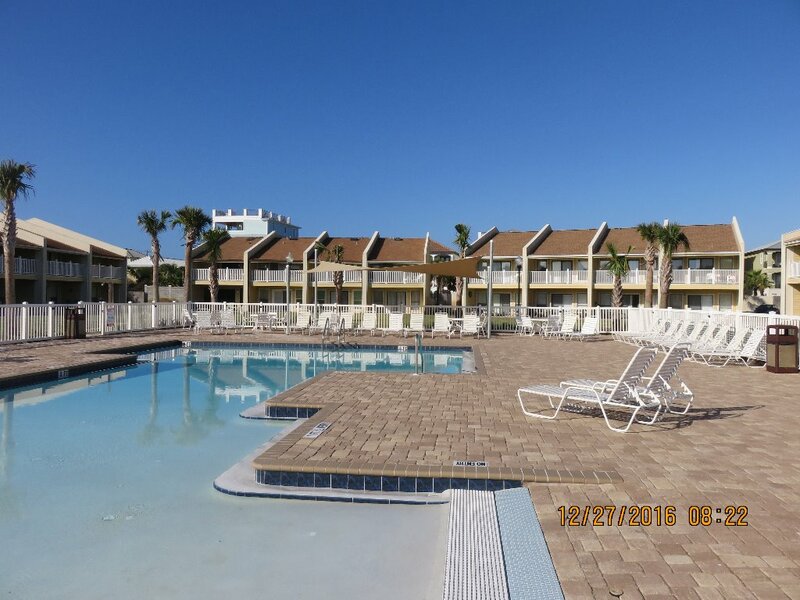 Our property has a new saltwater pool with a beach entrance, fountains and ledges. The gated pool area is large with plenty of lounge chairs and tables. 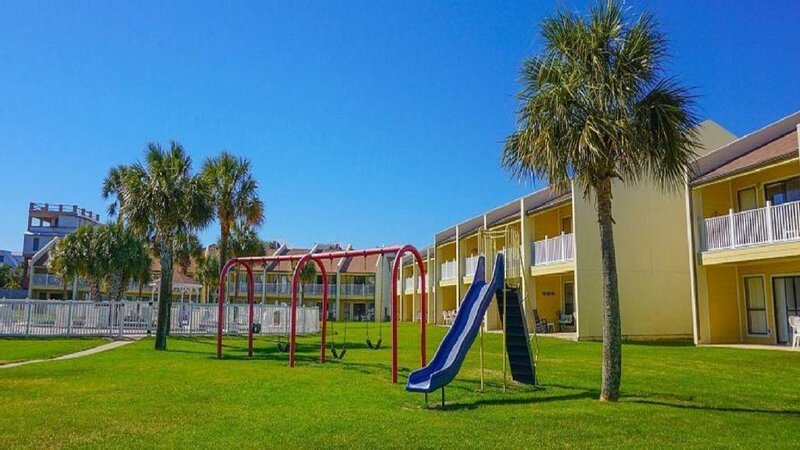 The property offers outside grilling stations and a compressed air station for blowup beach toys. Within walking distance there are plenty of great restaurants, shopping and rentals located just outside the property entrance. Included is Dairy Queen, a pizzeria, a winery/boutique, BadAss Coffee Shop, a beach supply store and a scooter rental shop. The property does not allow pets and our condo is non smoking. As new owners to this condo we are more than joyful to have you come and spend your vacation here. We know you will enjoy it as much as we do. We looking forward to making your vacation dreams come true! Please make your reservations through the website at Seacove, this is UNIT 6A. www.Destinseacove.net or you may contact Dwight our onsite rental manager to make your reservations & payments. 1(800)874-4144 or www.destinseacove.net Thank you for visiting!! Must be 25 years of age to rent this condo. NO refunds for incompleted days stayed. 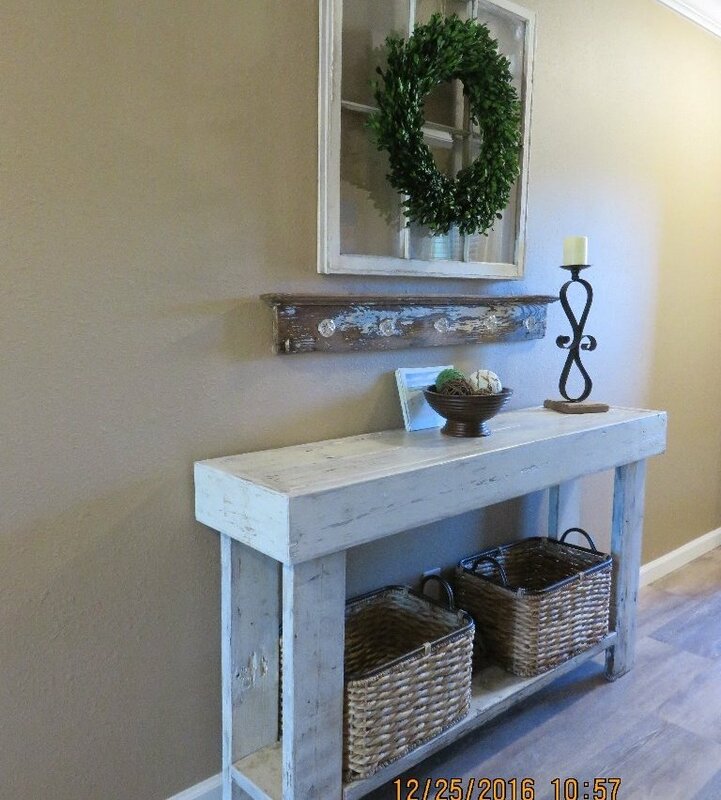 This condo is beautifully decorated, clean and new. Everything you need for your stay is at your fingertips. 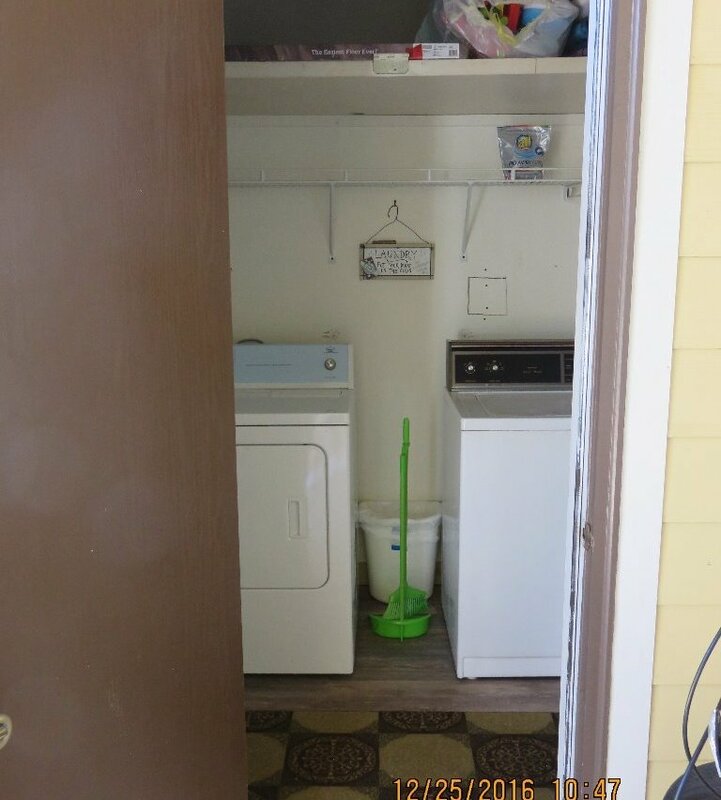 The washer and dryer are an added bonus. Back patio overlooks pool and manicured grounds. Walk across the street and a few steps down to the pristine white sand beach. What more could you ask for!! Seacove was the perfect spot for our first trip to Destin! 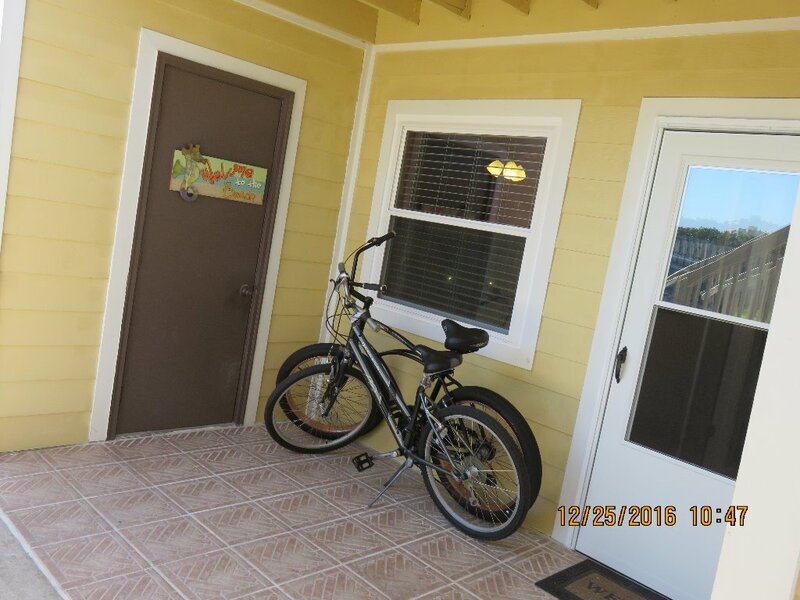 This property was conveniently located to everything we needed. We loved that we were just a short walk to our own private section of the beach. Our 5 year old also loved being able to swim in the pool just steps from the condo. This was a very family friendly place with lots of children while at the same time still being very quiet and relaxing. 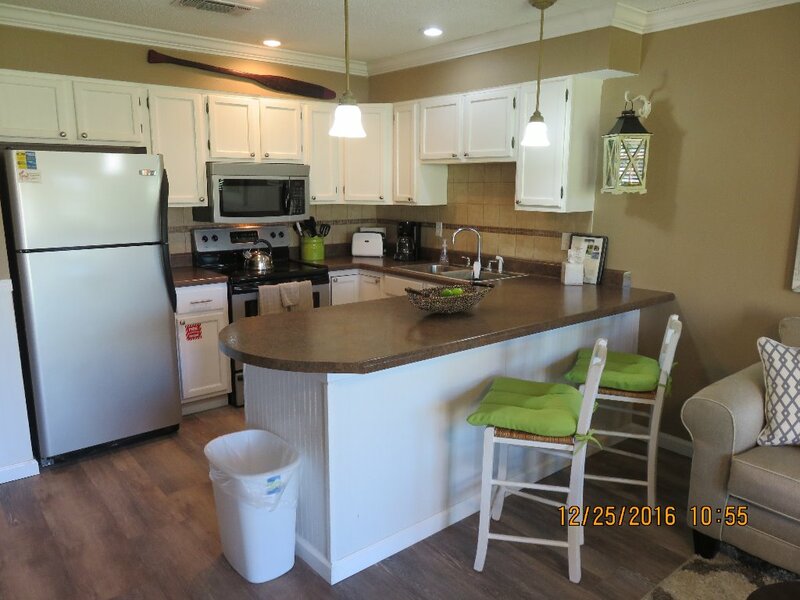 The actual condo was very nicely decorated and equipped with all the amenities you need for a week at the beach. There was free WiFi, cable tv, and many kitchen appliances such as toaster, cofee maker, blender, etc..all available if needed. The washer and dryer was a bonus too. I can't think of anything that was missing! Checking in and out was super easy and convenient and Megan was very sweet and easy to work with! We hope to return again soon and would definitely recommend unit 6A.